Italy’s prime minister Matteo Renzi is a cocky character who likes having enemies, at least in public. 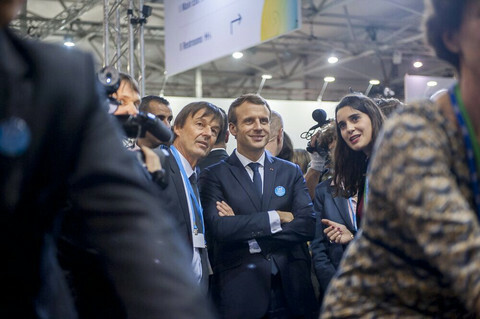 As he gears up for the most difficult political battle of his short, but eventful, political career, he is back on argumentative terms with the European Commission and key EU partners. On Monday (26 September), Renzi’s cabinet set 4 December as the date for a referendum on constitutional reforms which, if approved, could end Italy’s chronic political instability and help the premier cruise to re-election in 2018. All opposition parties, as well as a sizeable faction of Renzi's own Democratic Party, are against the reforms, which shrink the powers of the Senate and regions to the benefit of the central government, and, according to critics, undermine democratic checks and balances. A No vote would risk plunging the country into chaos and end the 41-year old’s public life, who pledged to quit politics if he loses. According to polls, that is a distinct possibility: a survey published on Monday had the No camp at 35.5 percent and the Yes at 29.6 percent, with 34.9 percent of undecided voters. Faced with a domestic public opinion that follows an anti-elite trend common to the rest of the Western world, Renzi is trying to regain the anti-establishment credentials that allowed him to be once known as Demolition Man. The EU and Germany seem to be the most convenient targets in country where a significant minority blame EU-prescribed austerity and the euro for endemic low growth, and where anti-EU sentiment has risen steadily over the past 15 years. “My impression is that this anti-European and anti-German campaign is driven primarily by domestic politics needs,” Ferdinando Nelli Feroci, Italian ambassador to the EU during 2008-2013 and now president of the Istituto Affari Internazionali, a Rome-based think-tank, told EUobserver. Over the past two weeks, Renzi has renewed accusations on Berlin for running excessive trade surpluses, complained about EU inaction on the migration crisis, and challenged the commission not to thwart Rome’s demands to overshoot eurozone deficit limits. He said he needed the fiscal leeway to repair damage from last month’s deadly earthquake and to fund programmes for refugees. “If you think you can take Italy for a ride on migration and earthquake issues, you are barking up the wrong tree,” he recently said on TV, addressing his EU partners. He was particularly angered by the EU's failure to take on board Italy’s so-called Migration Compact, which proposes giving aid to African countries in return for their help in stemming migration flows, taking a cue from the controversial EU-Turkey deal. Renzi "needs to leave no space to those in Italy for whom daily attacks on Europe form the basis of their political platform,” Nelli Feroci said, alluding to the far-right Northern League and the populist Five Star Movement (M5S), which both want to take Italy out of the euro, and are Renzi’s chief opponents in the referendum campaign. 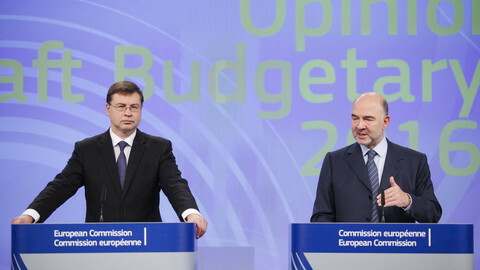 On Tuesday, the Italian government opened a new front with Brussels, this time on budgets. The fiscal plans for 2017 it presented forecast a deficit of 2.4 percent of GDP, up from the 1.8 percent previously agreed with the EU commission. 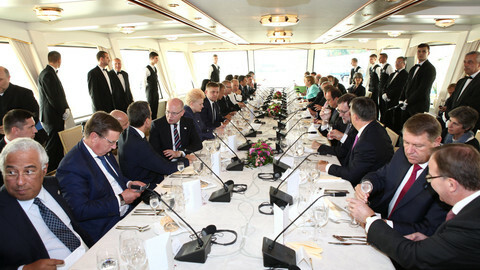 It also postponed, for the fifth year in a row, a commitment to cut record-high public debt levels. 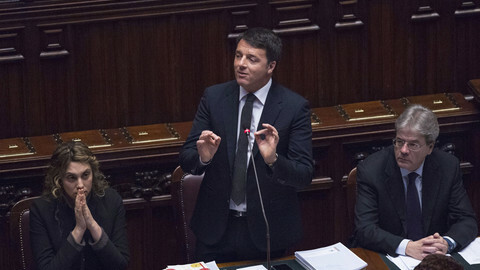 Renzi said he expected budget leeway because Europe was “enormously in debt” with his country, given the failure of its scheme to relocate 160,000 asylum seekers from Italy and Greece. So 1,200 have been taken from Italy. It remains to be seen whether concessions from Brussels – which would allow crowd-pleasing tax cuts ahead of the referendum vote - will be enough to placate Renzi, whose last major electoral victory, in 2014 European election, came after his government gave low-paid workers an €80 monthly bonus. Italy is asking to spend more than normally allowed by euro rules for the third year running. Last week, the commission's president Jean-Claude Juncker noted that Rome was granted deficit reduction waivers worth €19 billion in 2014 and 2015. 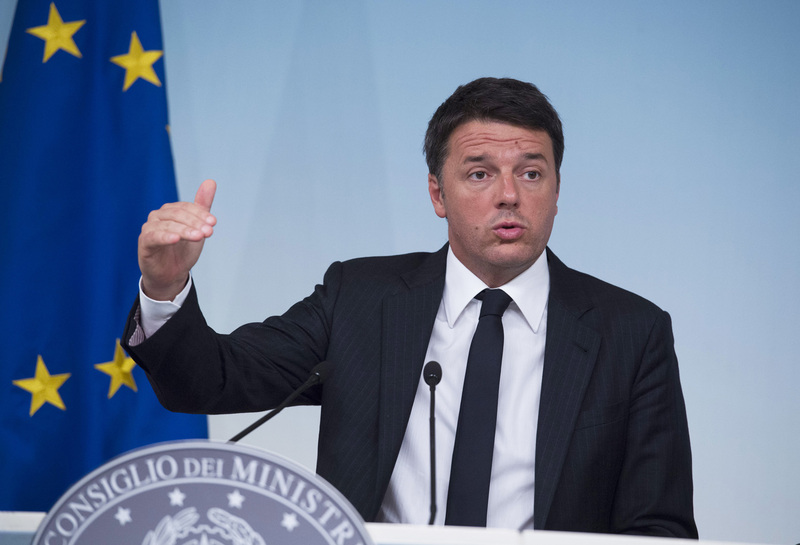 For 2017, Renzi is seeking a green light for a further €10 billion. The Italian government is not new to raising its voice against Brussels. In late 2015 and early 2016, Renzi voiced similar complaints on austerity and migration issues, and dismissed EU officials as “technocrats and bureaucrats without a heart or soul." Juncker protested that the Italian leader was “vilifying and criticizing the commission on every street corner,” but the two later patched things up. 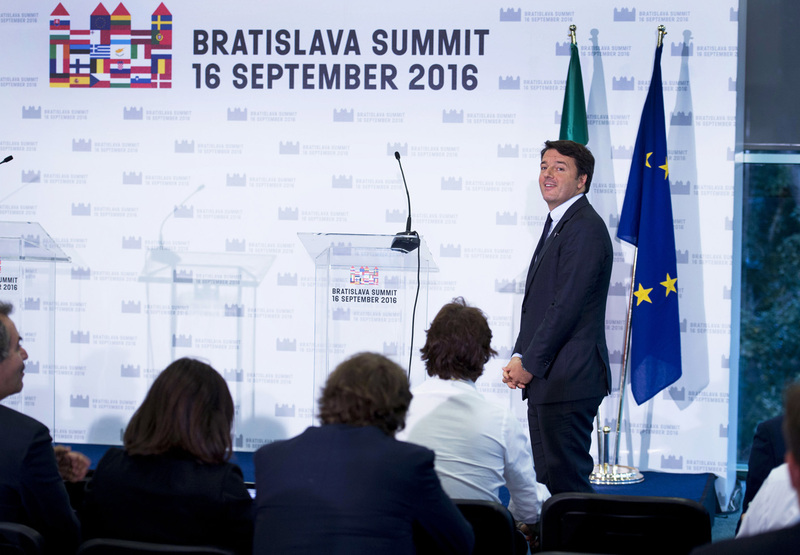 According to a senior foreign diplomat in Rome, EU partners are likely to come to a quiet understanding with Renzi because any alternative to him would be far less palatable. “We know he has a lot on his plate right now, so a bit of populism from him is understandable. We’re not going to react,” the diplomat said. 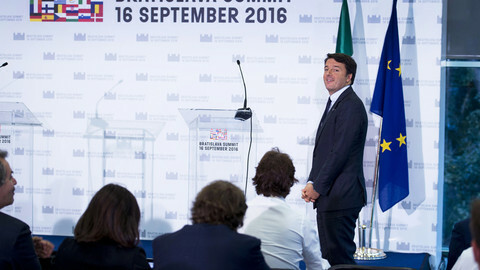 Renzi's attacks on the EU’s status quo are also matched by genuine and ambitious reform proposals for the bloc, such as the Migration Compact and other proposals on eurozone governance, noted Sergio Fabbrini, head of the School of Government at LUISS university in Rome. “Italy is one of the few countries who is really pushing a pro-EU agenda, while Germany has no proposals beyond managing current emergencies,” Fabbrini told EUobserver. The 27 EU leaders agreed on a non-binding roadmap to regain momentum after Brexit, but despite the effort to show unity, Italy's Renzi veered off course. 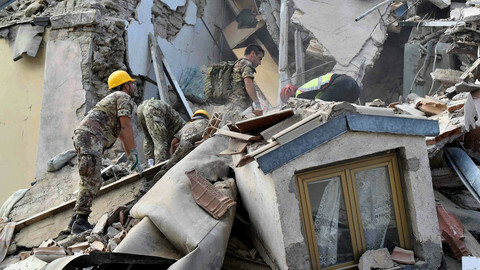 Italian prime minister is expected to present a quick reconstruction plan and request more budget flexibility from the EU after this week's tragic earthquake. Italy's prime minister said he will quit if voters reject his constitutional reforms in an autumn referendum. His aim is to create a more stable government. 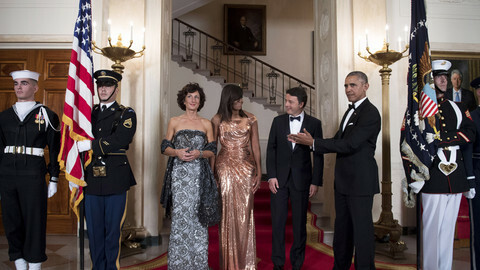 Barack Obama urges Italians to back their leader's proposed reforms in the forthcoming referendum, saying they will create a more vibrant economy and more responsive political system. Italy, Portugal, and Spain are unlikely to face sanctions for breaking EU budget rules, the European Commission has said, in what it described as a “political” decision by a kind of “common finance ministry”. Defeat for Italian prime minister Renzi will not necessarily sweep the anti-euro Five Star Movement to power, while a victory might be a short-lived success.